According to recent research the way we generally teach patterning to children is not having the effect we thought. In order to encourage reasoning skills for future math excellence we need to be lighting up more sections of the brain. And to do this we just need to add one extra component. 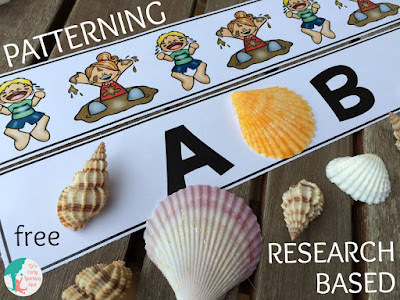 Read this post at Liz's Early Learning Spot and download a free transfer task you can use with your kids in a flash.